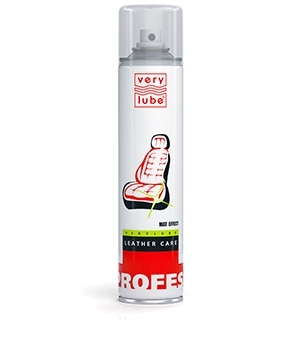 Safe and effective care of leather surfaces in a car compartment. The product is designed to take care of natural and artificial leather upholstery (seats, doors, panels, etc.). Protects surfaces from alligatoring, cleans them from contaminations and makes leather more elastic. prevents leather aging and fading in the sun. 2. Spray a small amount of the product onto leather surface.